Computer Weekly has announced the Most Influential Woman in UK IT 2018, and is showcasing 50 of the top women in the UK’s technology industry. The list originally comprised 25 women, before being extended to include 50 women in 2015, and for the second year in a row, Computer Weekly published the longlist of nominees to showcase how many influential women there are in the technology industry. This year, Amali de Alwis received the accolade of Most Influential Woman in UK Tech 2018, due to her work as CEO of not-for-profit Code First: Girls, which currently teaches more women in the UK to code than the UK’s university system, as well as her efforts as part of the steering group of the Tech Talent Charter. The 50 women on this list, as well as Computer Weekly’s 2018 Rising Stars, Hall of Fame members and attendees of Computer Weekly and Mortimer Spinks’ annual diversity event, serve as role models for others both in and outside of the technology industry. This year’s winner, Amali de Alwis, is the CEO for coding education initiative Code First: Girls, which teaches women of all backgrounds how to code. De Alwis also acts as a CommonwealthFirst mentor for the Commonwealth Enterprise and Investment Council, providing mentorship and encouragement to small and medium-sized enterprises (SMEs). In 2017, Sarah Wilkinson was appointed the new CEO of NHS Digital. Prior to this, Wilkinson was the chief technology officer (CTO) at the Home Office, where she led many of the most critical IT systems supporting UK borders and policing. Previously, Wilkinson was managing director and head of corporate systems technology at Credit Suisse for over two years, having previously worked at HSBC, UBS and Deutsche Bank in various senior IT roles. She also acts as a non-executive director for both NatWest Markets and King’s College London. Debbie Forster is CEO of government-backed initiative Tech Talent Charter which aims to boost diversity and address gender imbalance in technology roles. She is also director at consultancy Novel Design, and director for international development at the National Consortium of Secondary Stem Schools (NCSSS). During her time as co-CEO at Apps for Good, Forster inspired hundreds of students, teachers, industry experts and sponsors to engage with the organisation. As well as scaling at an impressive rate under Forster’s leadership, Apps for Good is working hard to tackle diversity in Stem education. The course has achieved and maintained a gender balance of close to 50/50. Over 50% of apps which have won at the organisation’s annual awards have been developed by all-girl or mixed teams. Forster recently received an MBE for digital innovation, and was named WISE woman of the year in 2016. She has regularly featured in Computer Weekly’s Most Influential Women in UK IT list. As information commissioner for the UK, Elizabeth Denham is responsible for ensuring information rights are in the public interest and leads the office dealing with the Data Protection Act 2018 – the UK’s implementation of the EU’s General Data Protection Regulation (GDPR). Prior to becoming information commissioner, Denham was the information and privacy commissioner for British Columbia, responsible for compliance with public and private sector privacy legislation and access to information law. Anne-Marie Imafidon founded volunteer organisation Stemettes to inspire the next generation of women into science, technology, engineering and mathematics (Stem) via a series of panel events, hackathons and through the media. She is also a board member at Inspirational You, a fellow of the Royal Society for the encouragement of Arts, Manufactures and Commerce (RSA) and a Department for Digital, Culture, Media & Sport (DCMS) digital skills partnership board member. She won the FDM Everywoman Rising Star of the Year award in 2014 and has featured in Computer Weekly’s list of the Most Influential Women in UK IT after being marked as a Rising Star in previous years. Prior to Stemettes, Imafidon started her career in IT as a business analyst intern and web designer before becoming an enterprise collaboration strategist at Deutsche Bank. Alice Bentinck is the co-founder of Entrepreneur First, a firm focused on supporting technology startups from around Europe. As part of the Entrepreneur First initiative, Bentinck also co-founded Code First: Girls, an organisation which provides part-time coding courses across university campuses. Bentinck was on the advisory board of Founders4Schools for two years, and is on the computer science department industrial liaison board for Imperial College London. Jeni Tennison is CEO of not-for-profit The Open Data Institute, and was awarded an OBE for services to technology and open data in 2014. Previously, Tennison was technical architect and lead developer for Legislation.gov.uk and acts as executive director for Open Addresses UK. Until 2015, Tennison was a member of the Open Data User Group, an independent ministerial advisory group for the Cabinet Office. Named as one of Computer Weekly’s 2016 women in tech Rising Stars, Carrie Anne Philbin leads strategy, continuing professional development (CPD) programmes and learning resources at the Raspberry Pi Foundation. Philbin has worked to advance technology education in schools, acting as a board member for the Python Software Foundation and Computing At School (CAS) and chair of CAS #include to make computer science education accessible to all. Philbin is also a YouTuber, writer and secondary computing and ICT teacher, and creates a number of online resources for teenagers to help them get started with Raspberry Pi technology. She has a YouTube series dedicated to making role models within the IT industry more visible to teenage girls. In 2014, Neatham became the chief operating officer of Ocado Technology, where she looks after infrastructure and operations for the UK and Poland. Neatham believes that to get young girls into technology careers the encouragement needs to start early in the education system. Jacky Wright joined HMRC in October 2017, where she leads the department’s digital transformation programme – one of the biggest in the public sector in Europe. Wright joined the department following several years at Microsoft, where she served as corporate vice-president. Previously, she was a CIO at BP for three years, and a CIO at GE for eight years. She is also an advocate for women in technology. As well as being the CEO of digital challenger bank Starling, Anne Boden is a member of its board of directors and founded Starling in 2014 to build an organisation focused on providing the best customer experience possible. Prior to that, Boden was COO for Allied Irish Bank, and has also previously headed up EMEA global transaction services for RBS. Emma McGuigan is the group technology officer responsible for communications, media and technology for Accenture. Until March 2017, McGuigan ran Accenture’s UK and Ireland technology business, which includes consulting and outsourcing for 70% of Accenture’s UK business. She joined Accenture in 1994 after graduating with a master’s degree in electronics from the University of Edinburgh. McGuigan leads Accenture’s work with Stemettes, a charity dedicated to increasing the number of women in Stem careers. In 2012, she was the technology category winner of Women in the City’s Woman of Achievement Awards and in 2013 was made a fellow of BCS, The Chartered Institute for IT. McGuigan is an advisory board member of Digital Leaders and is the treasurer of the Orchid Project. Sarah Luxford is the co-lead of Tech London Advocates’ Women in Tech group and was co-founder of Croydon Tech City, the second fastest-growing tech cluster in the capital, in charge of developing new relationships with investors, tech companies and potential stakeholders. She is now the director at recruitment company Global Resourcing. Previously, in her role of director at Nexec Leaders, Luxford worked with founders, investors and business leaders to find the talent they need. Luxford was noted as one of Computer Weekly’s 2015 Rising Stars. Tabitha Goldstaub is an expert in the impact that artificial intelligence (AI) has on society, and co-founder of CognitionX, a platform and network which helps to build AI- and data-driven systems. She also sits on the marketing council for Founders4Schools, advisor for The Prince’s Trust and is the co-founder of Future Girl Corp, an organisation which runs free events for future female CEOs. Goldstaub was recently appointed as chair of the UK government’s AI Council. Previously chosen as a Computer Weekly women in UK technology Rising Star, June Angelides is the founder and CEO of Mums in Technology, which partners with industry to provide an immersive learning experience that encourages new mothers to take their children to school with them while they learn to code. She founded the company in 2015 when on maternity leave from Silicon Valley Bank, where she held roles as an associate for accelerator growth and an associate for entrepreneur banking. Most recently, Angelides was appointed chair of the Future Skills Programme, and is the founding ambassador for the FiftyFiftyPledge. TechHub is at the heart of the London Tech City movement to attract startups to East London and boost investment and innovation in UK IT, with Elizabeth Varley as its CEO. She has set up new TechHub operations in Bangalore, Bucharest, Berlin and Riga, as well as other UK sites in Manchester and Swansea. Previously, Varley set up Online Content UK as an organisation for online content professionals running an industry-focused community and regular events. She was one of the founding steering committee members of the DigitalEve women in technology organisation in the UK. Varley also sits on the board for the Digital City Exchange at Imperial College London and is a tech innovation board member, data pitch programme for the Open Data Institute. Sheila Flavell was appointed chief operating officer of IT service firm FDM Group in 2008, and is an executive board director of the firm. She played an integral role in the group’s flotation on AIM in 2005 and was a key instigator of the management buy-out of the group in 2010 and the subsequent float onto the main FTSE market in June 2014. Sheila spearheads FDM’s Global Women in Tech campaign and FDM’s Getting Back to Business programme, aimed at providing opportunities for returners to work. She sits on the main board of TechUK and the Women in Tech Council, and is frequently called to advise government committees on various issues, especially around the digital skills gap. Flavell won Leader of the Year at the Everywoman in Technology Awards in 2017 and was recently recognised as one of the top 25 Most Influential Women of the Mid-Market by CEO Connection. Eileen Burbidge is a partner at Passion Capital, the London-based venture capital firm she established with Stefan Glaenzer and Robert Dighero. She brings extensive operational experience to her investment activities gleaned from business and product development roles at Yahoo, Skype, PalmSource, Openwave, Sun and Apple. She also serves as chair for Tech Nation and is the special envoy for fintech for HM Treasury, as well as member of the prime minister’s business advisory group. In summer 2018, Burnett was promoted to executive vice-president of Everest Group, and was shortlisted for AI Leader of the Year by Information Age. Prior to this, Burnett was an analyst in information technology services and business process outsourcing (BPO). Burnett used her skills to lead the Everest Group on global service delivery automation research and European practice across its global services research areas. Prior to working for Everest Group, Burnett was vice-president of research at Nelson Hall, covering areas such as infrastructure ITO, cloud and government BPO. Burnett is now the chair of BCSWomen and in 2017 launched the BCSWomen AI Accelerator. Nicola Mendelsohn has been vice-president of Europe, Middle East and Africa operations at Facebook since 2013. She is responsible for growing Facebook’s advertising revenue and improving relationships with brands across the region. She has served as the president of the Institute of Practitioners in Advertising (IPA) and Women in Advertising and Communications London (WACL). She was executive chairman and partner of Karmarama advertising agency for five years. She is chair of the corporate board of Women’s Aid. Mendelsohn is currently director of the Women’s Prize for Fiction, industry chair of the Creative Industries Council, non-executive director of consumer goods firm Diageo and co-president of charity Norwood. Margot James became the digital minister in early 2018 after a government reshuffle, covering issues such as broadband, telecoms, broadcasting, creative industries, cyber security, tech startups and the tech industry. Prior to her role as digital minister, James was minister for small business, consumers and corporate responsibility at the Department for Business, Energy and Industrial Strategy. Maxine Benson and Karen Gill are co-founders of the Modern Muse charity, which aims to promote careers in science, technology, engineering and maths (Stem) by making role models more accessible. Gill and Benson also run the membership organisation Everywoman, which regularly runs events and awards for women in the technology sector to further promote the need for diversity and showcase role models in the sector. Sophie Deen is a former lawyer, and is the CEO of social enterprise Bright Little Labs, a children’s education company that makes educationally valuable, gender-neutral and ethically sourced toys and materials. Bright Little Labs is the creator of Detective Dot, who is a developer by day and a detective by night, and the heroine of the organisation’s stories. Everyday objects come to life around Dot and she can’t remember where they are from, so Dot helps them to discover their roots. Bright Little Labs recently announced a funding partnership with Turner International. Rioch Edwards-Brown, founder, So You Wanna Be In Tech? Entrepreneur and founder of So You Wanna Be On TV?, Rioch Edwards-Brown, is an advocate for diversity and has extensive media experience. She began So You Wanna Be On TV? as a community outreach programme after her son was shot and stabbed at school, and uses the platform to tackle the lack of diversity and social mobility in TV by providing free employability skills through partnerships between TV, brands, corporates and the community. Based on her already successful model, she launched So You Wanna Be In Tech? in 2016. Previous Computer Weekly Rising Stars in women in tech, co-founders of Digital Awareness UK Emma and Charlotte Robertson are social media enthusiasts who help schools, teachers and young people understand how to be safe on the internet. The sisters offer student workshops, CPD for teachers, parent events and ambassador programmes to combat issues such as cyber bullying, sexting and technology addiction. Helen Milner is founder and CEO of the Good Things Foundation (formerly the Tinder Foundation), a not-for-profit, staff-owned social enterprise that aims to help the 11 million people on the wrong side of the UK’s digital divide to become confident with digital and online technologies. The Good Things Foundation won a government contract in 2014 to support its digital inclusion strategy. Until May 2017, Milner was also a specialist government advisor of digital engagement for the Public Accounts Committee. Janet Coyle holds several roles, including leading the export and growth strategy for London & Partners, leading the annual summit for Silicon Valley comes to the UK, and acting as co-chair for the Tech London Advocates Scale Up Group. She is also an advisor for charity Founders4Schools and is working on a programme for the Mayor of London to change how the capital’s high-growth companies can conduct business overseas. Guha is the ecosystem general manager for the London campus of Silicon Valley-born co-working space RocketSpace. Guha also acts as an advisor for Tech London Advocates and Merian Venture, as well as a non-executive director for InnovateUK and an ambassador for London Tech Week 2018. Entrepreneur Koby founded Technology Will Save Us to educate people about the technology that is now becoming an essential part of our lives. The organisation, of which Koby is CEO, encourages people to make, experiment and be creative with technology. She is also a founding faculty member of the Vermont College of Fine Arts, and prior to her current work was the social impact director for brand consultancy Wolff Olins. Bauer is the chief digital officer for NHS England, and is overseeing the transformation of the NHS Choices website, and development and delivery of technology that can be used by patients and carers to manage chronic conditions such as diabetes and asthma. She is also the patient governor for the Chelsea and Westminster Hospital NHS Foundation Trust, and is a founding member for networking group 10 Digital Ladies. Bauer has led delivery of similar technology programmes in many sectors, including leading the move to take Times Newspapers online. Debbie Wosskow is the chairman and co-founder of AllBright, a platform designed to help support and fund female entrepreneurs in the UK. Wosskow is also the co-founder of digital platform Lifestyler.me and former CEO of home-exchange platform Love Home Swap. Until March 2017, Wosskow acted as chairman for Sharing Economy UK, the trade body which represents the UK’s sharing economy businesses. 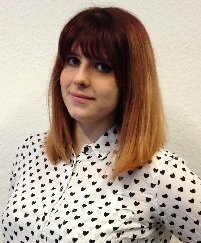 One of Computer Weekly’s 2017 women in technology Rising Stars, Naomi Timperley is a freelance consultant and a director for Tech North Advocates, a private sector-led collection of tech experts who champion the technology sector in the North of England. She is also an honorary industry fellow at the University of Salford Business School, a board member for FutureEverything and the chair of Capital Pilot. Claire Cockerton is a serial entrepreneur and an industry leader in financial services. Cockerton was the founding CEO and ambassador of Innovate Finance, a City of London and Canary Wharf Group-backed group promoting fintech startups. She co-founded Entiq, a firm delivering innovation strategy and product development programmes for large corporates. Cockerton also set the strategy and co-led the implementation of Level39, Europe’s largest technology accelerator dedicated to fintech, retail and smart cities technologies. After successfully launching the 68,000ft2 Plexal innovation hub at Here East in the Queen Elizabeth Olympic Park, Cockerton exited as its CEO in 2018 to pursue more projects with the aim of supporting women leaders in technology. Marija Butkovic is CEO of Women of Wearables, an organisation that tries to connect women in the wearable tech, fashion tech, internet of things (IoT), virtual reality (VR) and augmented reality (AR) fields. She is a digital marketing, technology and business consultant, as well as a serial entrepreneur and an advisory board member for the Independent Fashion Advisory Board (IFAB). Sharon Moore is the technical leader for the travel and transportation industry at IBM UK, focusing on designing technical solutions for IBM’s clients in the travel and transportation industry, incorporating engagement, IoT and analytics technologies, as well as building IBM’s technical community in this space. Moore is also a board member for the Innovation Centre for Sensor and Imaging Systems (CENSIS) and deputy chair of BCSWomen. Abigail Rappaport is CEO of digital coaching service Emoquo, which aims to give people advice and coaching surrounding a number of everyday work issues such as conflict, diversity and performance. As well as being an advocate for positive mental health in the workplace, Rappaport has held a number of roles in the technology industry, such as digital transformation and customer experience consultant, and senior director of Microsoft Office, UK, for Microsoft. She also acts as an advisor for The Telegraph. Emma Cerrone is a fellow at Forward Institute, which aims to build and support a movement for responsible leadership within and across organisations. She also co-founded Freeformers, a firm that works with organisations as a “digital growth partner” providing firms with software, training and consultancy services to make sure they are fit for the needs of the future workforce. Kathryn Parsons is co-founder and co-CEO of Decoded, which teaches people to code in a day. Having launched this entirely self-funded business in 2011, she is now overseeing its international expansion and launching new products. Over 50% of Decoded staff are female. Sarah Turner founded Angel Academe, a pro-women and pro-diversity angel investment group focused on technology. Turner is currently CEO of the group, and is also an external board member and chair of the investment committee for venture capital fund the Low Carbon Innovation Fund. Turner is also a board member of the trade association for early-stage investment, the UK Business Angels Association, and is the co-founder and director of consultancy Turner Hopkins which helps businesses create digital strategy. Kim Nilsson is passionate about how data affects people’s lives, the impact people can have when given the right skills, and how connections can change the world – all of which she combines in her role as CEO of Pivigo. The data science market connects data scientists with companies that want to outsource their data science and AI needs. Previously, she acted as chair for the big data and skills working group at TechUK. Forbes founded Seenit in 2013, a platform that helps brands and organisations co-create videos with external people such as employees, fans or journalists. In 2017, Forbes was chosen as one of Computer Weekly’s Rising Stars in the women in tech scene, and prior to founding Seenit was the co-founder of online video content distribution platform Koburn. Sharon White took over as chief executive of telecoms regulator Ofcom in March 2015 after spending two years as the second permanent secretary at HM Treasury – the first black person, and the second woman, to hold the position. Prior to working with the Treasury, White had board-level positions at the Ministry of Justice and the Department for International Development, and was a civil service adviser at the prime minister’s policy unit. Christina Scott was appointed the chief technology officer for News UK at the beginning of 2016 to assist with its digital initiatives, and is also the deputy CTO for parent company News Corp. Prior to 2016, Scott was the CIO for the Financial Times for over three years, where she was responsible for technology across the FT Group, leading a 400+ global team responsible for building and operating the infrastructure, business applications, data and consumer products across multiple platforms. Scott has over 20 years’ experience across the media, IT and engineering industries – before joining the FT, she worked for the BBC, BT Vision, News International and ITV Digital, and as a consultant at Accenture. Patel heads up the New Entrepreneurs Foundation, an entrepreneur development programme to help develop the UK’s next generation of leaders through a one-year programme that combines access to networks, work experience and training workshops. She is also CEO of the Centre for Entrepreneurs, which became part of the New Entrepreneurs Foundation in 2017 and is a think tank for entrepreneurship. She also acts as an advisor for Tech London Advocates, and is an entrepreneur-mentor in residence at the London Business School. With a strong background in computer science, including a BTEC HND in computer science from Anglia Ruskin, a BSC in computer science from Staffordshire University and a PhD in computer science from University College London, Joanne Hannaford now uses her experience as part of her role as Europe, Middle East and Africa (Emea) head of technology and global head of quality assurance engineering for Goldman Sachs. Hannaford has held a number of technology roles since starting at Goldman Sachs in 1997, and prior to that was executive director of global volume trading systems at NatWest Markets. Kerensa Jennings is the director at the Office of the Duke of York, responsible for strategy and delivery of iDEA CIC, the inspiring digital enterprise award. Prior to this, Jennings spent 15 years with the BBC working in a variety of roles, including programme editor for BBC’s Breakfast with Frost and executive editor for BBC News. Jennings spent two-and-a-half years as programme executive for the BBC Academy, helping develop a leadership programme for senior creative leaders throughout the BBC. Jennings has also held roles at major broadcast organisations ITN and Sky. As head of Rise London and vice-president of open innovation at Barclays, Magdalena Krön is responsible for connecting London startups with Barclays to encourage growth in the ecosystem. Krön also co-founded Geek Girl Meetup in the UK, a network for women and girls interested in technology and design startups. Prior to her work at Barclays, Krön helped more than 300 startups with early stage business strategy as head of operations and investment manager at Capital List and the London Co-Investment fund. Tamara Rajah is founder of venture capital-backed firm Live Better With, which works to develop information, products and communities for people with long-term health conditions. Alongside this, she acts as chair for Dot London, a non-executive director and board member of London & Partners, and a non-executive director and board member of the Scale-Up Institute. Until early 2018, Clare Sutcliffe was executive director of communities and outreach for Raspberry Pi Foundation, alongside leading Code Club. Sutcliffe has brought computing to primary schools without dumbing it down, negotiating to bring major stakeholders such as ARM and Google on board, as well as harnessing the energy of individual volunteers through an open and social approach. Code Club is a nationwide network of free, volunteer-led, after-school coding clubs for children aged nine to 11. In 2014, the organisation went global, with the aim of having coding communities in 50% of the world’s countries by the end of 2018. In 2015, Sutcliffe was awarded an MBE for her services to technology. Charlotte Finn is the vice-president of global strategic relations for Salesforce.org in Emea, and also works on sales strategy for corporate philanthropy programme the Salesforce Foundation. Finn is an advocate of mentorship, and used her position in the Salesforce Foundation to offer the 2015 Computer Weekly Rising Stars mentorship and advice to help the advancement of women and diversity in the IT industry. Prior to working at Salesforce, Finn held positions in business operations at VMware and head of global service centre for international wholesale at Verizon Business. Finn holds an MSc in corporate governance and studied business at Anglia Ruskin University.